Get your tyres fitted at home or at work with our fully mobile service! BK Tyres is a family-run business with 20 years’ tyre fitting expertise. With a focus on great customer service, we’re dedicated to making the process of replacing or repairing your tyres as simple as possible. Just order online or call us, and we’ll fit your tyres at a time and place convenient for you. Based in Wallingford, we fit tyres in Oxford and well beyond! Our fully mobile fitting service covers 3 counties - servicing cities, towns and villages across the south of England. Great service. Nice people. Good prices. What more do you want? Easy to use website. Booked Tuesday pm, fitted by 9.30 am Wed. Great service from Barry. Would definitely recommend. Just wanted to say what a fantastic service I received today. Arrived within the agreed time slot I’d booked, the fitter Natt was professional and extremely efficient. A friend recommended me to BK tyres and I will certainly be doing the same. I always get a very helpful, rapidly responsive and high quality service from BK Tyres, and good value too. Excellent service from BK Tyres. This is my first time using them as normally would go to garage, but as I work from home, a mobile tyre fitter was ideal. I went through online booking process on April 9th to arrange tyre change on 10th, and shortly afterwards had call back to confirm. However I unexpectedly had to be in office that day so called BK Tyres back requesting that my booking be changed. This was confirmed verbally on the phone and followed up with email. Tyre fitter came today (11th) and with no fuss, just asked as for locking nut (should have got this ready as it’s in boot) and completed the work. I will definitely recommend on grounds of pricing, customer service and just so very simple to use. Excellent service, polite technician & competitive price. Will use again. Thank you! Great service, so easy to choose tyres online and book online! tyres great competitive price! Very quick service all four tyres fitted in less than 45 minutes and very friendly chap, didn’t even have to leave the house they come to you! will be using again and recommending to everyone! Brilliant service and price as usual. Alloys left clean and tidy and tyre pressure monitor reset. Thank you. Excellent service, I am delighted to have found you. Fitting was really quick and convenient, I will definitely use you again. Fantastic and efficient service. I left a desperate message on the answerphone on Sunday after I popped my tyre and they got back to me 8am Monday morning. Tyre now fitted by a friendly fitter and at a very reasonable cost! Will definitely use them again. First class service, thank you. Very helpful and courteous during both phone conversation and fitting. Very prompt and efficient service. Thank you, will definitely use you again. Very pleased and happy with their work. Came when said and was done in 40minutes. Definitely recommend. Easy booking, timely confirmation and arrival. Skillful, precise fitting. The car drives great. Thank you. Barry was brilliant!!! He did a great job, in a timely manner. Couldn’t have asked for more The website was simple and straight forward to use when I ordered. All in all a job well done. Thank you!! Great service, prompt, courteous, good price. What more could you ask for? Thank you. Another speedy, friendly and professional service from BK tyres. Called them at 8am this morning and they were at my work by midday, tyres changed by 12.30, all for a very reasonable price, thank you!! Quick, efficient, professional and personal service. Excellent price. Will recommend to everyone I know. Thank you very much. Very quick and courteous response, with a new tyre fitted within three hours of my call. Very happy with service and price. Fantastic service. Arrived at about 9am and was finished with job by 9:45 changing all 4 tyres. Very friendly and great service all around. Love the come to the home service – very convenient and will certainly use again! Friendly guy, quick and tidy tyre swap over, and good, cheap tyres. Outstanding service, booked quickly and convenient online for the next day. The tyres got fitted without any problems in my driveway from a super friendly guy. Absolutely happy with this perfect customer experience. A great service with really friendly staff. Website was easy to navigate and received a call within minutes of booking to confirm everything and arrived next morning. Really happy with the service and great value for money, would recommend to anyone! Prompt efficient service , clean and tidy service. Excellent. Very efficient and friendly service! Barry fitted my new ranger with tyres he had to import-great price and a great service. Thanks v much! We got a price from our local VW garage and decided to shop around. VW were better than most on line but BK Tyres fitted them today like for like and only £12 more. No hassle, very pleasant and the wheels left in good condition. No more visits to tyre depots, dirty waiting areas and messy wheels – delighted with our choice! Absolutely brilliant service – discovered my car had puncture when at work – called BK, they arrived with new tyre all fitted before it was time to go home. Prices were very good as well. Highly recommend. I have used BK Tyres for a number of years now, offering a great service and price. Great service, arrived in great time, excellent customer service from Barry. Very happy with the service. 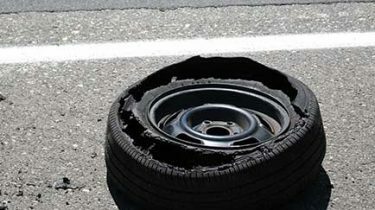 Got a flat tyre yesterday on the way home from work, so couldn’t get to a tyre fitter. Did a search online and found BK Tyres. Quick and easy way to order your tyre online. Although the tyre I wanted was out of stock, Barry contacted me first thing in the morning to offer a suitable replacement. By half past one the following day, BK Tyres had been and replaced the tyre when they said they would. The service was fast and unlike a lot of the larger companies, they were courteous and a pleasure to do business with. I would certainly recommend them to friends, family and colleagues. Thank you for the great service…perfect and couldn’t asked for more. Arrived on time, great communications and really knowledgable staff. Would whole-heartedly recommend and great to support a local company. Outstanding service. BK Tyres went above and beyond to help me out this morning when I was stuck with my dogs in the car. They rerouted a driver to me and I was back on the road within the hour. As a self employed dog walker they really saved my skin this morning, I would not consider using anybody else now. Highly recommended. Really cant find any fault! Price was very competitive and the service was first rate. The fitter arrived on time and was done in less than 30 mins! Barry is an honest really nice guy who always gives 100% service. Definitely recommend and I for one will always use this company for all my tyre needs in the future. Great service! Another fantastic service by Barry and Bank! Had a mobile tyre fitting, couldn’t be more impressed! Easy to order and book, great communication and efficient service. Price paid is price quoted (no hidden fees) thank you so much. Will definitely use again! Really pleased with how professional the company is. Fast with making contact after first booking, also made contact 30 mins before they were due to arrive to fit the tyres. Great service and would recommend to anyone. Thanks guys. Fantastic service, really efficient. Highly recommended, would use him again. Great price, friendly fitter, on time – will use next time I need tyres. Great service again from BK Tyres – replacing the two front tyres on my car having previously replaced the rears. Professional, quick, flexible and reasonably priced. I have no hesitation in recommending your services. Fantastic service! Great value! Extremely responsive! Will definitely use BK Tyres again! Friendly, efficient, convenient and a well priced service that I can highly recommend! Great Service. Strongly recommend! Cheers Barry. Fantastic service, very friendly and reliable. Will certainly be using BK Tyres in the future! Punctual, quick, professional. Thank you for your help and for your good work. Very impressed with the service, arrived within the specified time. Fitter was professional, polite and carried out the job in better time than other places I have used before. I would definitely use again and would recommend to others. Thank you for fitting today I found the fitter polite and very helpful and explained the problem with the tyres thank you. Also the man I spoke to on phone yesterday great customer services also very helpful. Polite and friendly fitter, pointed out to me that a bolt was missing from spare wheel carrier, so thank you. Very pleased with the service I received and so much better than having to wait around at a tyre garage!! Will use again…thank you. Very quick, professional, friendly service. Would use again. Fantastic, quick, polite service. Handy he was able to come onto camp. Good value. Would recommend to anyone. I placed an order on the website on the Saturday requesting a 10am-1.30pm time slot for the following Monday. I wasn’t really expecting this to be possible as BK Tyres only operate Monday to Friday so I assumed my order wouldn’t be processed until the Monday. Within half an hour of placing my order I had a phone call saying that unfortunately the tyres I had ordered weren’t in stock but they could fit the next grade up for the same price at the time slot that I had requested. On the Monday morning the man fitting my tyres phoned me half an hour before he arrived. He was really friendly and fitted my tyres so quickly. He also gave me some useful advice. I am so impressed with the service from start to finish. I’ll definitely use BK Tyres again and will recommend them to my friends. Fantastic service. Will definitely be using you again and recommending to friends. I would like to thank Mr. Bank for fitting my car tyres today. He let me know 40 minutes in advance he was on his way and arrived before that. In no time he fitted the tyres and provided me with very useful advise. Great service and saved me a lot of time by them coming to fit the tyres instead of me having to go to a garage. Thank you very much. Came when they said they would come, great job, thank you! Very prompt service. Phoned – appointment same day, very pleasant helpful service by the man who fitted the tyre. Excellent service with quick response, the fitter was very helpful giving guidance regarding the pressure sensors fitted to the rim and any problems that we might have with the manufacturers tyre sealant used. I highly recommend your service. Many thanks. The first time I have opted for a mobile service and it was an effortless experience. Excellent communication with BK Tyres to ensure that I had the exact tyres in readiness for the day of fitment. Scheduled a time to suit which was perfect. The technician (Bank) called 30mins prior to his arrival and was incredibly pleasant and welcoming. A very personal service. Thank You! I searched the Internet for a mobile tyre fitter on the recommendation of a friend and found bk tyres. From the start of checking prices on their website to, booking a slot to the tyres changed, the service was faultless and all without leaving my home. I highly recommend bk tyres and will never return to a mainstream tyre changing garage again. Bk tyres, Thank you for the service you delivered today. Excellent service. Will definitely be recommending to friends & family. Good prices, friendly and efficient service, would and have recommended. Great Service. Arrived within the chosen time window and phoned half hour before arriving to check that it was still convenient. Friendly and polite, no hassle, and I could continue work while the tyres were being changed. Will use again and have already recommended to colleagues. Fitter turned up on time, was polite, efficient and helpful. The website worked, unlike some I tried before going to BK. I would certainly use them again and recommend them to friends. Great service, I went to order tyres from another supplier online but as they did delivery only, I did not want the hassle of trying to find someone to fit them! But I found BK Tyres, all inclusive price with fitting and everything included. No hassle and cheap. Would recommend, I will use again, thank you guys. Great service…quick, cheap, no hassle. Thanks guys. Fantastic service! Great value and kept to all arrangements as planned! Polite friendly fitter! Will recommend and use again! Massive thanks. This is the 1st time I’ve used BK tyres, very impressed with helpful office staff, I also appreciated the phone call from the fitter when he was 20 minutes from my house, tyre fitter very friendly chap – will highly recommend to other people. Thank you. Very quick and efficient service, and great communication. Thank you. Fantastic service, I contacted Barry in need of a specific tyre for my car and within two hours Nat arrived and fitted the tyre. Fantastic service and have already recommended you to others! Will be using you again in the future! Thank you! Prompt and efficient. Will definitely be using your service again. A guy by the name of Nat Kennedy was polite, efficient and job was done extremely fast. Definitely be using you guys again in the future and will be recommending to friends and family. Many thanks. Just to say, thank you for fitting 4 tyres for me, I would recommend you to anyone wanting prompt, friendly service at a very competitive price. After phoning a few local companies and being told that they were unable to fit two tyres on the same day or charging a ridiculous amount I called BK Tyres. I’m glad that I did, the prices are very reasonable, the fitter was extremely professional and knowledgeable. I’m very impressed with the service and will certainly be using BK Tyres again and will be recommending them to any friends and family. Nat has just left after the fitting. Great, friendly service. Phoned 30 mins. before he arrived and the job done very quickly. Top job from the BK Team! Will definitely recommend. I keep going back to BK Tyres. Good advice, prompt fitment to suit, cheapest prices. Very professional and will definitely use again. Highly recommended. Barry and his team are extremely reliable and have always helped me out with my small fleet of vehicles. I can rest assured that BK will give me value for money and an unbeatable service. Highly recommend. Excellent price and customer service. Well informed, on time and professional job done. Will be using again for sure. Fab service, very helpful and friendly. I ordered the wrong tyre the first time and it wasn’t an issue they came back the next day and fitted the correct size. Brilliant service and friendly staff. Highly recommended local company. Friendly, efficient, fast & knowledgeable company. Excellent communication. Cannot ask for a better tyre service. Awesome service,bit of a delay as the fitter was very busy but when he arrived, he was polite and very quick to fix my Land Rover tyre at £70 all in, I was impressed and massively relieved. Thanks again. Great service all round with competitive pricing too! Very happy, even had contact 30mins before they arrived. Took care not to damage the driveway when raising the car. Highly recommend. This is the second time I have used BK Tyres and once again the service was excellent. The tyres I originally ordered weren’t available but I was promptly offered a better alternative and they were fitted the next day. Efficient, prompt, polite staff – will definitely use again. Highly recommended! Extremely happy with the service received, good communication, received a text message to say ETA. Quick and efficient tyre change. Company website easy to navigate and ordering was straight forward. Would much rather use a family based business over the big boys. Very efficient and friendly service. The gentleman that did the tyres was incredibly friendly and moved address to cater for a change in plan without any hassle. Would recommend to anyone looking for tyres. Excellent service, excellent value, fast, and friendly – absolutely would use again, absolutely would recommend to anyone and everyone. Website was very easy to use a great selection I tyres and days/times available. Had a call from the fitter to say half hour away, very professional took no time at all to fit 2 front tyres will use again and recommend to friends. Thank you. First class service. Very impressed. Excellent service. 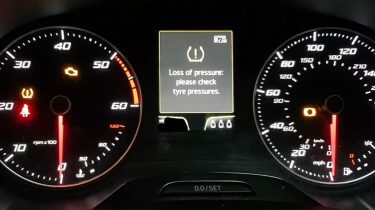 I had ordered run-flat tyres without realising and received a call from BK to confirm whether I already had run-flats or not and if I actually wanted run-flats as these can cause complications with certain models. The person I spoke to recommended non run flats which actually saved me about £50. The fitter also called me when he was on his way. A really good service which I would recommend to anyone. Excellent service – professional, friendly, pro-active and efficient. Oh, and low-cost. Very friendly and polite. Excellent service from start to finish will definitely use again. Excellent service. This is my second time using BK Tyres and I can not fault them. Thanks for your help in getting my tyre replaced over a bank holiday weekend. Service was quick and on time, pricing was also very competitive against other online suppliers. Will use again. Thank you for the extremely efficient, fast, friendly and reasonable service! Very much appreciated as I was late for a meeting at work! We never met as I called you to a slow puncture while on a train after I dumped my car at Oxford Station. However I really appreciated your flexibility and willingness to help so that upon my return I could just drive home. Thanks for all you did and I would definitely recommend you to others. So thankful for your help today! Was very lucky that you had the time and everything was done so quick (especially as I had my baby with me!) thanks again! That has to have been the best service I have ever received! Thank you!! A very good and professional service, the fitter was courteous and efficient. This is the first time that I have used BK Tyres and will not be the last. Their prices are the best too they are a firm favourite at work! I seriously could not have asked for a better service! I’m really impressed. Completely hassle free, super friendly and great value for money! Absolute pleasure to deal with and I would highly recommend you guys. (and I have already) Thank you! Excellent service. Called 30 mins before arrival as promised. Better value than bricks and mortar outlets. Outstanding fitter. No need for me to remove wheel fit spare then drive to tyre outlet and then wait for new one to be fitted. Highly recommended. Easy to use website with a very quick confirmation call back once the order was placed. Fitting was on time & very efficient. All staff very friendly. Reliable service that I would recommend & use again. Very friendly people, tyres fitted quickly and efficiently. The process of booking and fitting very easy from start to finish. Good price and excellent service. Top service, prompt, courteous & convenient! Helpful advice and flexible booking – service with a smile! My ‘go to’ company for tyres! Easy to use website and great price. Very friendly service. Highly recommended! Just wanted to say how impressed I was with the service today. Polite, friendly, on time, overall a very good reasonably priced service. I will definitely use you again. I just wanted to leave you some feedback. I was really impressed with all aspects of your service from the very speedy response to my enquiry, fitting my tyres in less than a day, at the best price I could find anywhere on the internet (mobile or garage based)! On top of that, all done in a most friendly, helpful and polite way. Brilliant. You will be my top of my list for tyres in future! Thank you. Turned to this company after supposed nationwide and market leader were unable to provide a popular and high volume selling tyre brand which I required at short notice! Quick, efficient and polite service provided. Good stock availability, competitive prices and would definitely use again. Very helpful, good price and speedy response. Definitely recommend them. Very impressed with the service provided; prompt, efficient and friendly, I definitely recommend BKTyres and will certainly use again. Brilliant, fast service and always with a smile. Nothing is too much trouble and really nice guys. Very professional. Would highly recommend and even better they come to your house so no messing about waiting in garages. I wanted to leave my feedback to say that I am really delighted with your company. You were efficient, polite and friendly, called 15 mins before arrival and everything sorted without my having to leave the house! Will definitely use you again! Excellent service and price, as usual! Many thanks. Excellent service, extremely helpful when booking, very prompt & friendly on day of fitting, overall fantastic & completely hassle free. No hanging around at the garage waiting in a queue, will definitely be using again & would highly recommend. One very happy customer. I called BK in the morning and they were round within 2 hours with the tyres I had asked for. Good range of tyres at very reasonable prices with good advice. Thanks Nat for your efforts today! Always a great service from you guys! Very happy with what you do, and you can always do the work on short notice. Correct, friendly service. Delivered the correct product, it was in time and the cheapest I could find. Recommend. Arrived very early in appointment slot which I liked. Very friendly and prompt service. Tyres fitted quickly with no fuss and other tyre pressures checked for me. I will be using them again. Excellent service, really helped us out in an emergency with repair and tyre replacement. Thanks guys. Excellent price and friendly efficient service. Much less hassle than taking the car to a tyre centre and the price was better than most – £1 more per tyre than Costco! Also, with the convenience of having it done at my office, it was great value. Great service, great price, friendly, fast and punctual. Couldn’t ask for anything else! Thanks! As always, a fast and professional service from BK Tyres. No job is too much hassle for them and their prices are extremely competitive. I have recommended this company to everyone that needs tyres where I work. They explain the difference in the tyres rather than just giving you different prices. 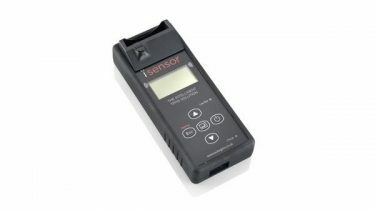 This allows you to make an informed decision about the product that keeps you on the road. A very nice experience.The Technician named Nat was very pleasant and polite very efficient and quick.Would highly recommend and use again. As always, an efficient service from a local company you can trust. Highly recommended. Absolutely brilliant service – very warmly recommended! I’ve just had 2 new tyres fitted by BK Tyres. Not only was the service exceptional from the moment I made the enquiry until the moment they left my house, the price was excellent too. Will definitely use again, highly recommended for service levels and price. Superb. Barry has just fitted 4 new tyres for me on an E46 BMW 330i M Sport. Very professional throughout from first contact to final invoice. Gave good advice and plenty of alternatives across a range of brands and prices explaining the pros and cons of each. I did plenty of research beforehand and he’s very good value. Obviously been in the tyre business a long time and it shows. Highly recommended. Within 20 minutes of calling they were at my house sorting out my flat. Great prompt service! So helpful and very professional. They really got me out of a fix. Many thanks. Highly recommended! Barry has been replacing our tyres for a couple of years now at extremely reasonable cost, after finding BK Tyres in an on-line search. I’m really glad we had his number as on Tuesday I had three flat tyres in one day! The first was at 8am and Barry had a new tyre delivered and on my car by 3pm the same day in time to collect the kids. The second and third happened at 8pm and they were replaced by 4pm the next day. Barry always answers the phone, seemingly at any time of day, and even responded to my crazy text at 8pm. He is professional, kind, patient and so efficient, I don’t know how he does it. Thanks Barry for your amazing service (but I hope not to see you for a while!!)! Highly recommend BK TYRES, Barry is a top man and always willing to put him self out to help you out. Great prices, Great service. Pleasure to deal with. Professional and extremely flexible! Was so patient and understood that as our only car and with a young family we would need to consult our diary! Fantastic that he was able to do after school run if needed. Extremely reasonable cost – have already recommended 2 friends and passed on cards. Great job made even better by friendly smile! Thank you!! What a find online :) Great service from start to finish, Barry was a top man very polite & professional will definatly recommend & use again. found bk tyres online placed enquiry was called at 8.30am next morning. Very good price quoted so booked there and then. Fitting day came and arrived at agreed time and very good service by barry and his apprentice. Will definatly use again and promote to my friends. Professional, courteous and expert service at a highly competitive price. Summer tyres swapped over for my winter set quickly and conveniently at my own home. Barry even offered free storage for my summer tyres ready for re-fitting next year. If you want a first-class service at a genuinely reasonable price give BK tyres/Barry a call. Superb service. Call back less than 10 minutes from requesting a quote. Very flexible with fitting times. High quality and speedy fitting. Very pleased, couldn’t ask for better, will use again. Great service by BK Tyres, highly recommended!